In today’s competitive environment completing a project within time and budget, is very challenging task for the project managers. This aim of this study is to develop a model that finds a proper trade-off between time and cost to expedite the execution process. Critical path method (CPM) is used to determine the longest duration and cost required for completing the project and then the time-cost trade–off problem (TCTP) is formulated as a linear programming model. Here, LINDO program is used to determine the solution of the model. To implement the proposed model, necessary data were collected through interviews and direct discussion with the project managers of Chowdhury Construction Company, Dhaka, Bangladesh. The analysis reveals that through proper scheduling of all activities, the project can be completed within 120 days from estimated duration of 140 days. Reduction of project duration by 17% is achieved by increasing cost by 3.73%, which is satisfactory. Pour, N. S., Modarres, M., & Moghadam, R. T. (2012). Time-cost-quality trade-off in project scheduling with linguistic variables. World applied sciences journal, 18(3), 404-413. Kelley Jr, J. E. (1961). Critical-path planning and scheduling: Mathematical basis. Operations research, 9(3), 296-320. Mobini, M., Mobini, Z., & Rabbani, M. (2011). An Artificial Immune Algorithm for the project scheduling problem under resource constraints. Applied soft computing, 11(2), 1975-1982. Phillips Jr, S., & Dessouky, M. I. (1977). Solving the project time/cost tradeoff problem using the minimal cut concept. Management science, 24(4), 393-400. Shouman, М. Л., Abu El-Nour, A., & Elmehalawi, E. (1991). SCHEDULING NATURAL GAS PROJECTS IN CAIRO USING CPM AND TIME/COST TRADE-OFT. Alexandria engineering journal, 30(2), 157-166. Agarwal, A., Colak, S., & Erenguc, S. (2011). A neurogenetic approach for the resource-constrained project scheduling problem. Computers & operations research, 38(1), 44-50. Liu, L., Burns, S. A., & Feng, C. W. (1995). Construction time-cost trade-off analysis using LP/IP hybrid method. Journal of construction engineering and management, 121(4), 446-454. Hindelang, T. J., & Muth, J. F. (1979). A dynamic programming algorithm for decision CPM networks. Operations research, 27(2), 225-241. De, P., Dunne, E. J., Ghosh, J. B., & Wells, C. E. (1995). The discrete time-cost tradeoff problem revisited. European journal of operational research, 81(2), 225-238. Arauzo, J. A., Galán, J. M., Pajares, J., & López-Paredes, A. (2009). Multi-agent technology for scheduling and control projects in multi-project environments. An Auction based approach. Inteligencia artificial. Revista iberoamericana de inteligencia artificial, 13(42). Abbasimehr, H., & Alizadeh, S. (2013). A novel genetic algorithm based method for building accurate and comprehensible churn prediction models. 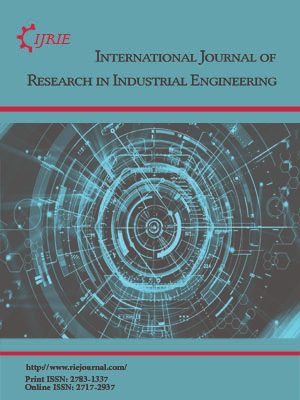 International journal of research in industrial engineering, 2(4), 1. Feng, C. W., Liu, L., & Burns, S. A. (1997). Using genetic algorithms to solve construction time-cost trade-off problems. Journal of computing in civil engineering, 11(3), 184-189. Li, H., Cao, J. N., & Love, P. E. D. (1999). Using machine learning and GA to solve time-cost trade-off problems. Journal of construction engineering and management, 125(5), 347-353. Ponnambalam, S. G., Aravindan, P., & Rao, M. S. (2003). Genetic algorithms for sequencing problems in mixed model assembly lines. Computers & industrial engineering, 45(4), 669-690. Shahsavari-Pour, N., Modarres, M., Tavakoli-Moghadam, R., & Najafi, E. (2010). Optimizing a multi-objectives time-cost-quality trade-off problem by a new hybrid genetic algorithm. World applied science journal, 10(3), 355-363. Azaron, A., Perkgoz, C., & Sakawa, M. (2005). A genetic algorithm approach for the time-cost trade-off in PERT networks. Applied mathematics and computation, 168(2), 1317-1339. El Razek, R. H. A., Diab, A. M., Hafez, S. M., & Aziz, R. F. (2010). Time-cost-quality trade-off software by using simplified genetic algorithm for typical repetitive construction projects. World academy of science, engineering and technology, 61, 312-321. Chua, D. K. H., Chan, W. T., & Govindan, K. (1997). A time-cost trade-off model with resource consideration using genetic algorithm. Civil engineering systems, 14(4), 291-311. Pathak, B. K., & Srivastava, S. (2007, September). MOGA-based time-cost tradeoffs: responsiveness for project uncertainties. Proceedings of congress on evolutionary computation, CEC. 3085-3092. IEEE. Pathak, B. K., Srivastava, S., & Srivastava, K. (2008). Pathak, B. K., Srivastava, S., & Srivastava, K. (2008). Neural network embedded multiobjective genetic algorithm to solve non-linear time-cost tradeoff problems of project scheduling. Journal of scientific and industrial research (JSIR), 67(2). Chen, W. N., Zhang, J., Chung, H. S. H., Huang, R. Z., & Liu, O. (2010). Optimizing discounted cash flows in project scheduling—An ant colony optimization approach. IEEE transactions on systems, man, and cybernetics, part C (applications and reviews), 40(1), 64-77. Zeinalzadeh, A. (2011). An application of mathematical model to time-cost tradeoff problem (case study). Australian journal of basic and applied sciences, 5(7), 208-214. Biswas, S. K., Karmaker, C. L., & Biswas, T. K. Time-Cost Trade-Off Analysis in a Construction Project Problem: Case Study. Mokhtari, H., Aghaie, A., Rahimi, J., & Mozdgir, A. (2010). Project time–cost trade-off scheduling: a hybrid optimization approach. The international journal of advanced manufacturing technology, 50(5-8), 811-822. Błaszczyk, T., & Nowak, M. (2009). The time‐cost trade‐off analysis in construction project using computer simulation and interactive procedure. Technological and economic development of economy, 15(4), 523-539. Hosseini-Nasab, H., Pourkheradmand, M., & Shahsavaripour, N. (2017). Solving multi-mode time-cost-quality trade-off problem in uncertainty condition using a novel genetic algorithm. International journal of management and fuzzy systems, 3(3), 32. Su, Z., Qi, J., & Wei, H. (2017). Simplifying the nonlinear continuous time-cost tradeoff problem. Journal of systems science and complexity, 30(4), 901-920. Zou, X., Fang, S. C., Huang, Y. S., & Zhang, L. H. (2016). Mixed-Integer linear programming approach for scheduling repetitive projects with time-cost trade-off consideration. Journal of computing in civil engineering, 31(3), 06016003.